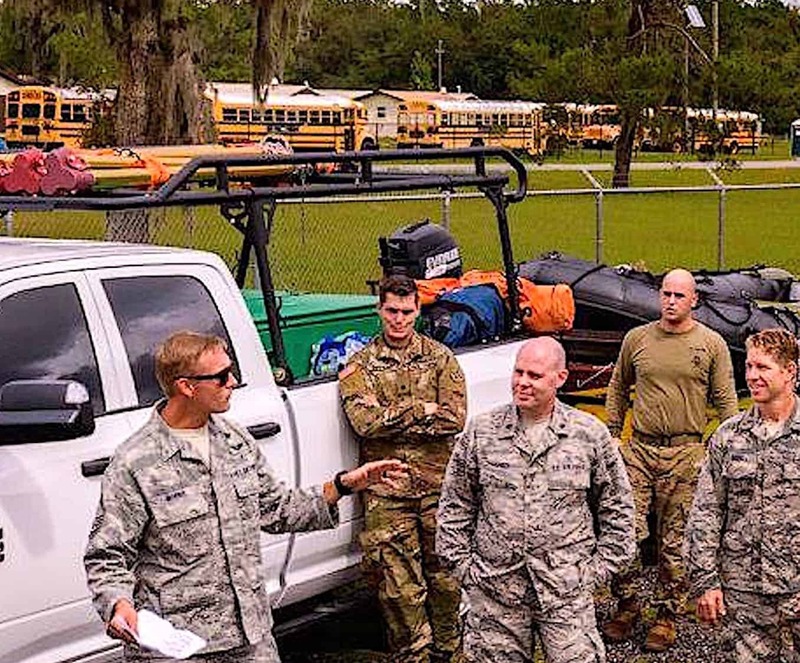 School buses stand ready in the background, to help in Michael response efforts by the Florida National Guard. Photo Credit: DVIDS. Hurricane Michael, now downgraded, continued on its northeast trajectory today, moving into the Carolinas and Virginia. Warnings of tornadoes occurring in central and eastern North Carolina and southeast Virginia were issued by the National Hurricane Center. 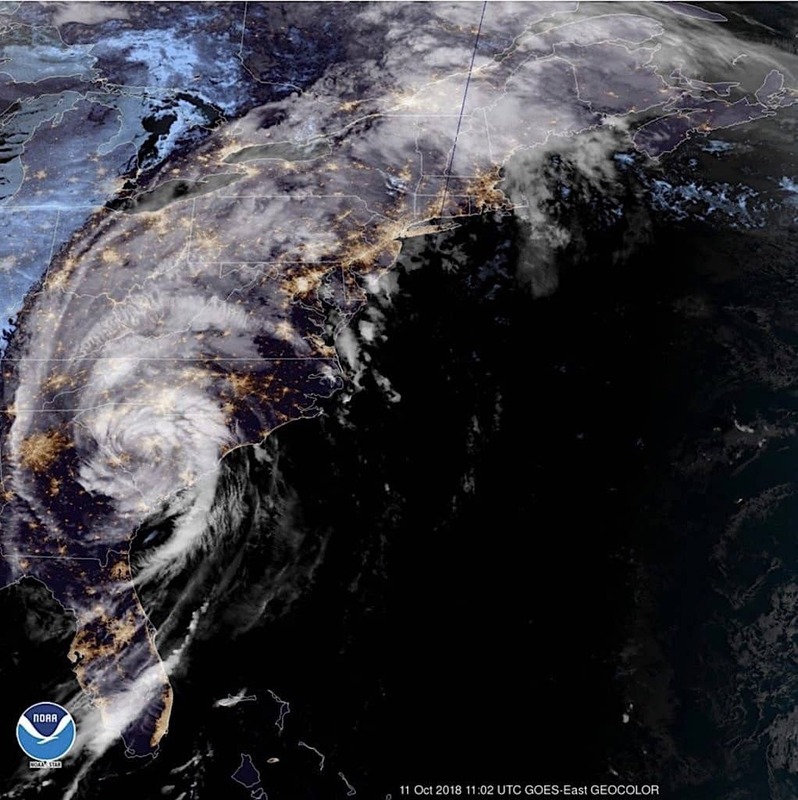 “Michael will continue to have widespread impacts on transportation throughout the eastern U.S. today, both due to its direct impacts from wind and rain, as well as its lingering effects in the hard-hit portions of the eastern Gulf Coast,” noted Kepler51 Analytics on Thursday. Also, a second fatality was announced Thursday morning. Hurricane Michael arrived early Wednesday afternoon in Florida at Category 4 strength, sporting 155 mph winds, gusts up to 175 mph, and the promise of far too much water. Flash floods, difficult or nonexistent transportation of all kinds—and likely catastrophic wind damage, were expected. At 8 p.m. EDT, the first fatality from a fallen tree was reported by local officials in Gadsden County. Michael is the third most-intense cyclone to hit the U.S. The Panhandle has not been hit with a Category 4 hurricane since records were first kept in 1851. Life-threatening storm surge is occurring along portions of the Florida Panhandle, Big Bend and Nature Coast. The worst storm surge was expected Thursday evening between Tyndall Air Force Base and Keaton Beach, where 9-14 feet of inundation was possible. On Tuesday, the National Weather Service had already referred to Michael as a “life-threatening” major hurricane before it even slammed into the Florida Panhandle. A tropical storm warning was issued for Fernandina Beach in Florida, to South Santee River in South Carolina. 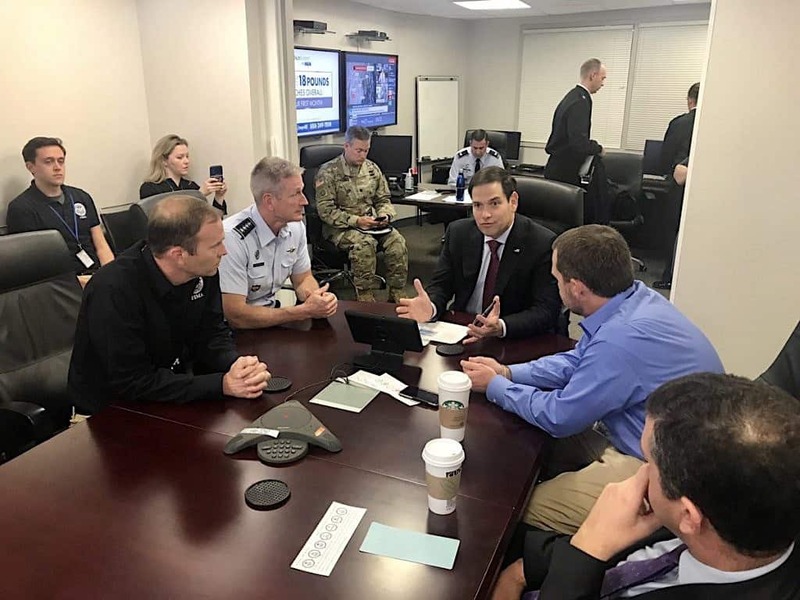 Florida Sen. Marco Rubio meets with FEMA officials to discuss Michael. 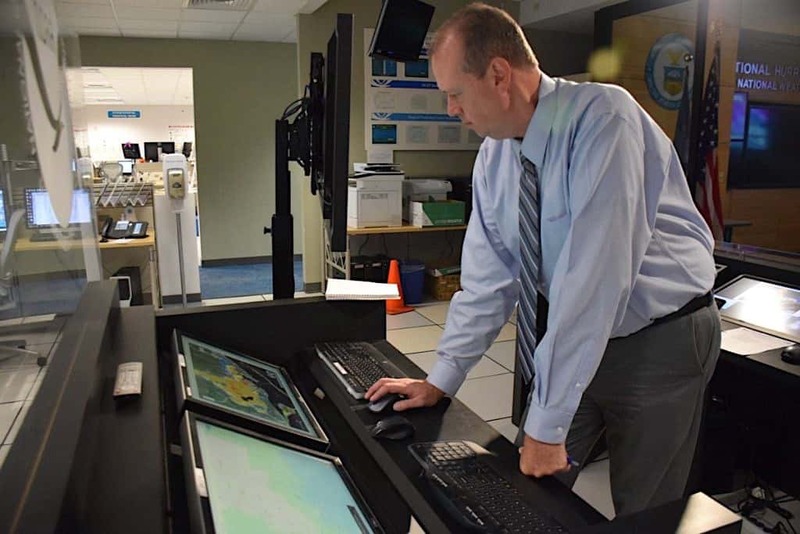 The U.S. National Weather Service operations. NWS satellite photo of Michael that was posted Oct. 11.